The fabulous first Shopaholic novel by international No. 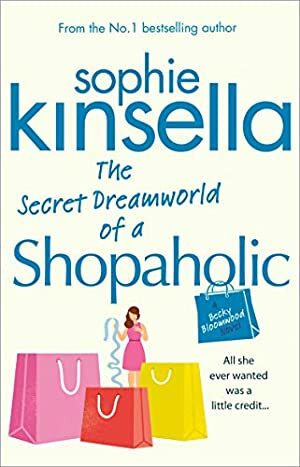 1 bestselling author Sophie Kinsella. The perfect pick-me-up when life is hanging in the (bank) balance... ! She has a great flat, a fabulous wardrobe full of the season's must-haves, and a job telling other people how to manage their money. She spends her leisure time... shopping. Log In to track Sophie Kinsella on eReaderIQ. to be notified each time the price drops on any book by Sophie Kinsella. to stop tracking Sophie Kinsella. We started tracking this book on November 8, 2011. This book was £4.94 when we started tracking it. The price of this book has changed 120 times in the past 2,726 days. The current price of this book is £3.99 last checked 10 hours ago. The lowest price to date was £0.99 last reached on January 15, 2019. The highest price to date was £5.69 last reached on October 17, 2015. This book has been £5.69 one time since we started tracking it. We last verified the price of this book about 10 hours ago. At that time, the price was £3.99. This price is subject to change. The price displayed on the Amazon.co.uk website at the time of purchase is the price you will pay for this book. Please confirm the price before making any purchases.